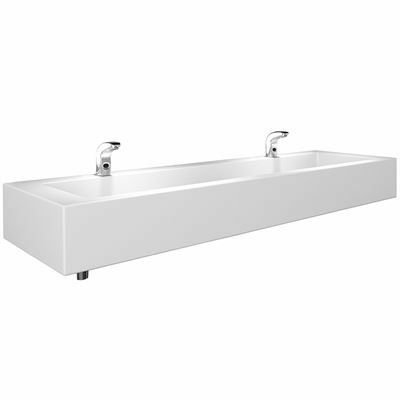 Our modern and durable Washtroughs are the perfect addition to any commercial or education washroom. Whilst being both stylish, yet timeless, our Solid Surface Washtroughs are extremely hardwearing and will stand the test of time even in the most demanding environment. Composed of minerals and acrylic polymer, the man-made material Solid Surface can be thermoformed by heating it at around 150 degrees Centigrade. The result is a Washthrough that can be made in to one continuous, seamless piece. Whilst being extremely hard wearing our Washtroughs are also easily repairable; if you do get a scratch then this can be sanded out and wiped clean. 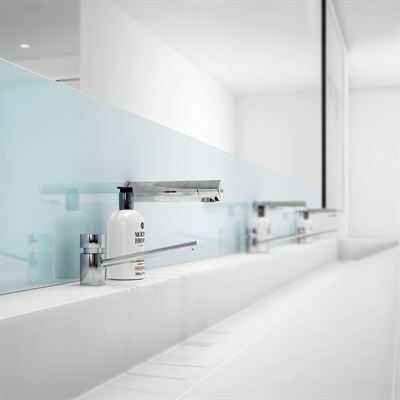 Our Washtroughs come with a choice of profiles suitable for wall mounted or deck mounted taps with Stainless Steel Cantilever Brackets.